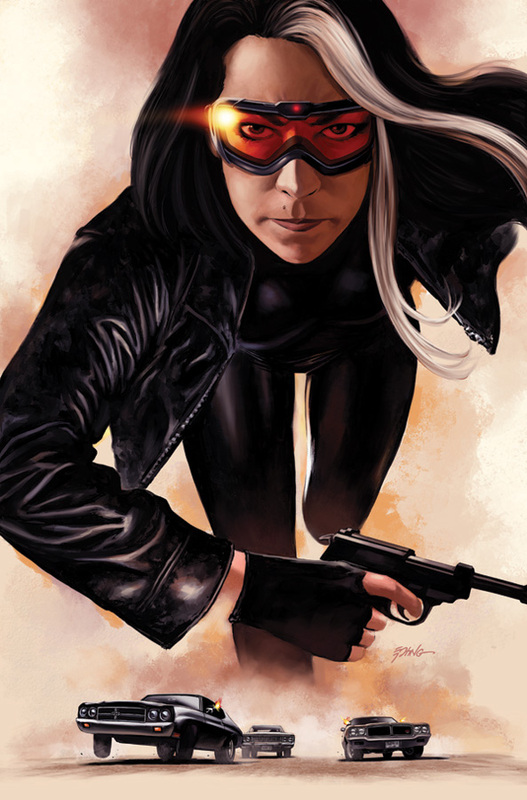 Steve Epting and Ed Brubaker made headlines this summer when they announced their first creator-owned project together, Velvet. The series reunites the creative team who introduced the Winter Soldier to readers, killed Captain America, and brought readers the critically acclaimed maxi-series The Marvels Project. Velvet will take readers into the world of spies and the Cold War, and who better to have as guides than Brubaker & Epting? Epting recently took time to discuss the series with Comicosity, specifically his influences and how Velvet came to be. Aaron Long: You and Ed took the comic world by storm with the announcement of Velvet and it is fantastic to see you both working together again. After all this time since you collaborated on Captain America, what made this the right time for Velvet? Steve Epting: Ed and I have been talking about doing this book for at least 5 years, maybe longer. I’ve been under contract with Marvel for all that time and we had to wait until I was free. Now that I am we dove right into this book. It feels great to actually be working on it after all this time. AL: You have been working on some of the highest profile Marvel books in their lineup over the past few years. What about Velvet drew you to the world of creator-owned comics? SE: I’ve always been a huge Modesty Blaise fan and that was part of the reason this project came about. When Ed first mentioned the idea to me I knew I wanted to be the one to draw it, and thankfully he waited until I was available. AL: Velvet has been described as being set in a “real world Cold War scenario”. What appeals to you about working in this time frame? SE: I’m just a fan of the spy genre in general, not necessarily the Cold War specifically. However, I did grow up in the 70s during the period this particular story is set so I do have some connection to the time frame. I will say that I love the cars from this era and even though drawing cars is generally a pain, at least I’m getting to draw some very cool ones! AL: With Velvet you are building a world completely from scratch. Has working outside the constraints of the history of the Marvel Universe been enjoyable? Has the world of Velvet been influenced by any other Cold War based materials? SE: Building a world from scratch is certainly refreshing but on the other hand, you realize that when you’re working in an established universe like Marvel’s a lot of the work has been done for you. Characters, vehicles, and settings have already been well established and there is plenty of reference for anything you might need. I have watched a few different movies from, or set in the period but we are not basing it on anything specific. Ed has described the tone we’re going for as something like James Bond written by John Le Carre. AL: Do you have any final words for Comicosity’s readers regarding Velvet? Any special teases about what readers will find in the first arc? SE: Ed doesn’t like to give any teasers that will spoil the plot so I’ll stay away from teasing anything about the first arc, but we are having a great time on this title and hope to be doing it for quite a while.